Abstract. The nonlinear analysis became a common tool to precisely assess the load-bearing behavior of steel beam and column members. The failure level is significantly influenced by different types of imperfections, among geometric also structural imperfections (residual stresses). Here are still gaps in the knowledge. Nowadays, 3 D welding simulation developed to a level where it could provide reliable estimation of weld-induced distortion and residual stresses. Nevertheless, modelling and computational effort are still in a less practicable range. In this study a simplified procedure to implement residual welding stresses in continuous large scale members is proposed and the influence on the ultimate limit state of slender members in compression is evaluated for two common structural steel grades. The results showed significant improvements in the utilization of load bearing capacity compared with simplified design methods. The comparatively general approach in this study offers potential for future optimization. N.N., Swedish Design Rules for Steel Structures, Boverket – Swedish National Board of Housing, Building and Planning, Karlskrona, 2003. H. Pasternak, T. Kannengiesser et al., IGF 18104 BG – Enhancement of Load Capacity of Welded High-Strength I-Shape Sections Using Improved Design Models for the Consideration of Residual Stress (in German), 04/2014-04/2016, Project description, 2013. 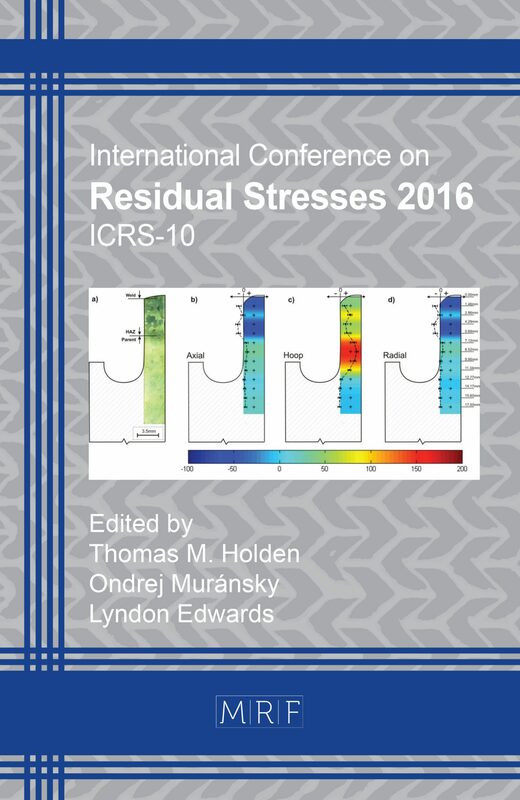 H. Pasternak, B. Launert, T. Kannengiesser and M. Rhode, Advanced residual stress assessment of plate girders through welding simulation, submitted to Procedia Engineering (2016), 12th International Conference “Modern Building Materials, Structures and Techniques”, May 26th – 27th, 2016, Vilnius. Y. Ueda, M. G. Yuan, M. G., The Characteristics of the Source of Welding Residual Stress (Inherent Strain) and Its Application to Measurement and Prediction, Trans. JWRI 20 (1991), No. 2, 119-127. Y. Ueda, N.-X., Measuring Methods of Three-Dimensional Residual Stresses with Aid of Distribution Function of Inherent Strains (Report 3): Distributions of Residual stresses and Inherent Strains in Fillet Welds, Trans. JWRI 24 (1995), No. 2, 123-130. G. Jung, Plasticity based distortion analysis for fillet welded thin plate t-joints, PhD-thesis, Ohio State University, 2003. H. Pasternak, B. Launert and T. Krausche, Welding of girders with thick plates – Fabrication, measurement and simulation, Journal of Constructional Steel Research 115 (2015), 407-416.